Internet &amp; Mobile World 2016 Bucharest I OBJAVLJENO 08.10.2016. The specialized fair for internet and mobile solutions „Internet & Mobile World 2016 Bucharest“took place on 5 and 6 October 2016, in Bucharest, Romania. EcoMobile participated as a partner of Telekom Romania. We presented our solution for electronic tracking of waste with a weighing system. 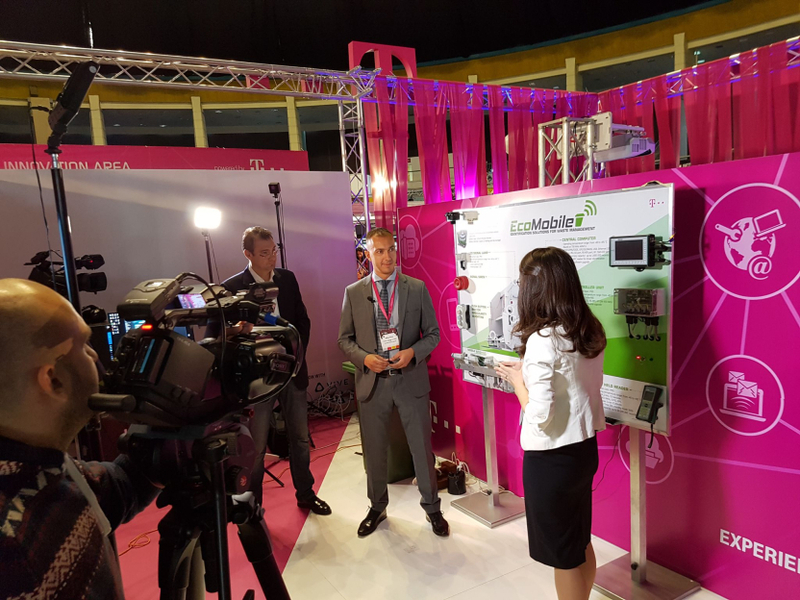 Romanian national television showed great interest and filmed a special report about the fair, including in it the EcoMobile solution.